You wont have a 2015 foal if you don’t cover your mare! 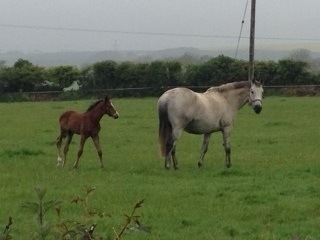 For many the breeding season is over with a May or early June foal on the ground. With the industry pushing more and more for early foals nearly all broodmare owners in the flat racing world where they race as 2 year olds are not that keen on a June cover. While the national hunt is not as rigid as they don’t race till 4 years of age and by then a “late” foal is not such a drawback. Of course there are always exceptions with decisions taken now to cover older mares at this time of the year a regular enough occurrence. Depending of course as to the mares breeding record , pedigree and winners this is pretty much your last chance to have a foal in 2015. My instinct is to cover, as an infoal mare has potentially more value than a empty one and it costs nearly as much to keep a barren mare over the winter than one in foal! So where do you go? If I were in the flat breeding area I would probably call it a day but if pushed I would choose a proven stallion at this stage of the year such as Arakan at Ballyhane, with the son of Nureyev doing well. Dark Angel at Morristown Lattin has been getting a fair share of Black Type winners since going to stud with the son of Acclamation a real option depending on the money you might have to invest. While Ballylinch Stud has the Giants Causeway horse Intense Focus on offer with a regular supply of winners to his name. On the National Hunt scene! well you should start with a look at the recent sales results from the 2013 store horse results and the foal sales at the end of last year. Once that is complete have a look at the top winning sires this season and see which ones are not RIP and still covering! A review of the results of Point to Pointer sales has thrown up High Chaparral as a horse that sells well both on the flat and over jumps. Assuming his Stud fee is out of the reach of many lets look a little lower down the money chain. 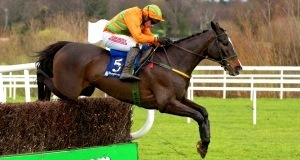 Shantou by Alleged standing at Burgage Stud in Co Carlow is a great option in my view. A tough and consistent racehorse he is regularly hitting the mark in the winners circle. Another horse that gets a nice share of track winners in Britain is Co Kilkenny Knockhouse Stud’s, Millenary. The son of Rainbow Quest went to stud late in his life as he raced on for so long, but he gets winners and deserve a look see. 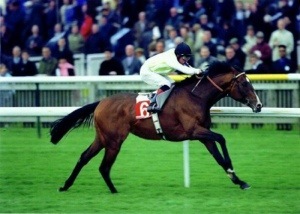 Sadler’s Wells has such an impact on the racing world it is difficult to ignore him and I wont! Blackhall Stud in Co Wexford has full brother to In The Wings on offer in Morozov. He is now getting enough runners on the tracks to be making an impact and they can race , so he is worth consideration. When I reviewed the stallion table at the end of this Point to Point season I noted that four of the top five Milan, Flemensfirth, Oscar and Presenting are still alive and well. With Coolmore and Rathbarry Studs in charge, their books of covers might be full but deserve a call if your mare warrants it. This is no more than a reminder that its not to late to cover, there are plenty more options including Jeremy, Arcadio, Royal Anthem, Robin Des Champs etc etc. 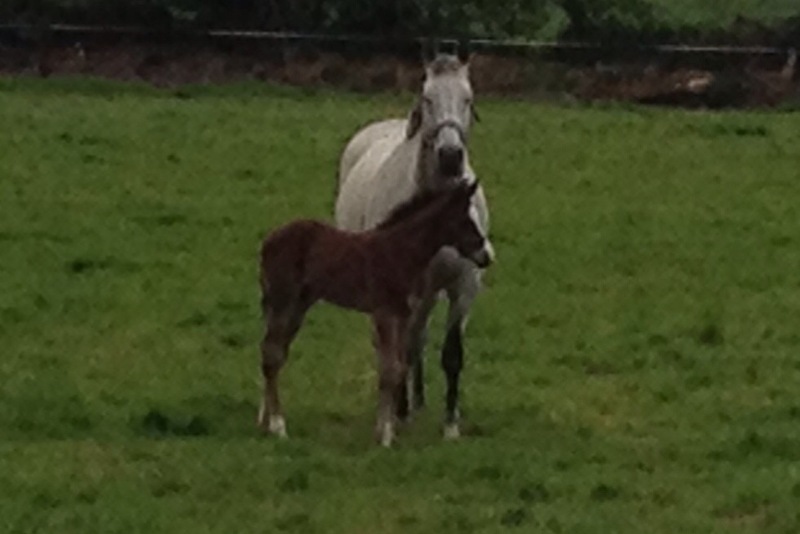 Just make your mind up and dont forget you wont have a 2015 foal if you don’t cover your mare! There is money to be made Between the Flags! There is money to be made between the flags if the recent sales results at Brightwells and Goffs are to be believed. Sterling is an even more attractive currency if you are being paid with it, so take a bow William Codd on consigning Alisier D’Irlande at Brightwells making a whopping £300,000 at the sale at Cheltenham last week. The 4 year old French bred son of Kapgarde, won his only start at Templemore in a most impressive style for William and Jamie Codd. Owned at the time by William Drew the was knocked down to British based Roger Brookhouse. This dark bay gelding might well have the scope to go onto further success on the track for his new owner. Another French bred horse , Adam Du Breteau sold from Tim Hydes Camas Park Stud made £280,000 to the bid of Jonjo O’Neill. A winner at Dromahane under Nina Carberry in late March he had failed to complete the course on two previous occasions, but this shrewd Cork man has a good eye and obviously believes that horse has talent. Monksgrange on the 30th of March saw a really fascinating finish to the opening 4 year old maiden with Denis Murphys Jeweloftheocean just shading Colin Bowes Potters Point. 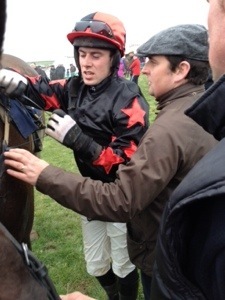 Interestingly Potters Point by Robin Des Champs and ridden by Barry O’Neill went off favourite on the day but just couldn’t get past Jamie Codd on the Flemensfirth gelding Jeweloftheocean. Fast forward to Brightwells and Potters Point is again favoured by the weight of money as Willie Mullins forked out £260,000 to take the horse home to his Co Carlow yard. Jeweloftheocean also changed hands at the sale as Jonjo O’Neill again signed the docket on this one when paying £175,000 for Denis Murphys horse. This 4 year old winning son of Presenting won his point at Kilmallock under Declan Queally and was earmarked as a horse for the future by his winning owner/ trainer. Given her previous success with Champagne Fever in the past Hickeys track record speaks for itself. Other point to pointers sold on the evening included Michael Goffs winning pair, Micks Lad and Different Gravey. With High Chaparral continuing to make a name as a national hunt sire ( Hadrians Approach winning the Grade 3 Betfred 365 Gold Cup at Sandown) his Loughanmore winning 4 year old son Different Gravey made £140,000 to a bid from Highflyer while Henrietta Knight paid £132,000 for the 4 year okd Beneficial gelding Micks Lad. It being a slightly smaller sale than in 2013, the amazing thing was that the 39 horses made £3.4m nearly as much as 57 horses made in total last year. The sales focus switched to Punchestown on Thursday with a another small select sale this time organised by Goffs. The sales topper here was Birch Hill, with the Kalanisi 4 year old a winner at Loughbrickland for Ian Ferguson and Willie Thompson last Saturday being purchased for Nicky Henderson for €160,000. The other big price here was €150,000 for the Ballyarthur winner Aqua Dude. This 4 year old Flemensfirth gelding was offered by Donnchadh Doyle from his Co Wexford yard. With €1.5 m changing hands here for 17 horses it wasn’t a bad day! So you see there is money between the flags! When you throw in track winners Moon Racer making £225,000 at Brightwells and Baby King being knocked down for €130,000 at Goffs , its all good news in the sales ring right now! Byrne’s are excited with their new stallion Lake Michigan at Park House Stud. One of the most difficult actions in the breeding industry is to get a new young stallion recognised by mare owners as an option for their band of broodmares. Park House Stud based in Tullow , Co Carlow has just set out on that route with the classically bred 4 year old Lake Michigan. 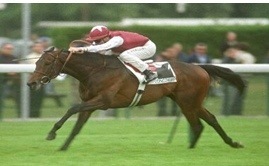 The unraced son of Montjeu was owned by Michael Tabor and trained during this time by Aidan O’Brien. With Montjeu already the sire of such notable racehorses and stallions as Authorised, Motivator, Pour Moi, Hurricane Run and Scorpion the chances are that we are going to have another name or two coming into the stallion ranks before too long to follow on in the Sadler’s Wells mould. Its when you glance down at Lake Michigan’s dam line that an even more recognisable line appears with his grand dam, Urban Sea leaving behind Galileo and Sea The Stars. Both of these horses were champion 3 year olds, Group 1 Epsom Derby winners and now successful sires. Lake Michigan’s dam Cherry Hinton is in fact a Green Desert half sister to both of these horses in addition to being closely related to Black Sam Bellamy and Urban Ocean. So from this vantage point Lake Michigan lacks absolutely nothing on his pedigree page. Standing at 16.2 the bay son has a Green Desert and Miswaki as his broodmare sire line, which is very much sought after. While unraced himself he is already a full brother to two winners with his year older full sister Wading winning the Group 2 Rockfel Stakes and Bracelet, a two year old winner in 2013 has entries for Ballydoyle in this seasons fillies classics the Epsom Oaks, Irish Oaks and the 1000 Guineas. Paddy Byrne and his Park House Stud has been synonymous with national hunt racing and breeding for many years, with the Co Carlow based stallion master having been associated with such well known stallions as Mandalus, Celio Rufo and Montelimar etc. Both Mandalus and Montelimar were highly sought after in the modern era with many pedigree pages upgraded with both horses having sired multiple festival winners at Cheltenham, Aintree, Fairyhouse and Punchetown. With in excess of 15 mares of their own, Paddy and his son Harry have bred many track and point to point winners over the years. Park House Stud is currently in its sixth generation of Stallion masters and with 40 mares already booked in they are just waiting on the first positive scans to launch a whole new exciting era at their Co Carlow based Stud. Nallen, Bowe and O’Sullivan create fireworks in the Cheltenham sales ring. Janey mac but that was one roller coaster of a day at Cheltenham with 6 Irish trained winners resulting in a total of 12 over the four days, Davy Russell takes the Gold Cup by a shortest of short heads and then endures the longest of stewards enquiries! His treble at odds of Tiger Roll10/1,Lord Windermere 20/1 and Savello 16/1 would have been a wonderful betting slip to hold! While Gigginstown House Stud with their four timer of Tiger Roll, Very Wood, Don Poli and Savello must have been over the moon to have picked a two Grade 1 races at 10/1 and 33/1. When you add in the injury to Ruby Walsh, the standing down of Paul Townend,with the bizarre accident that Daryl Jacob encountered it only piled on the drama of the biggest day in national hunt racing! There I was thinking that the fireworks in the sales ring at Cheltenham last night couldn’t be matched! But that Brightwells sale , offering 26 horses saw some wonderful prices being achieved. JP McManus paid £260,000 for the 4 year old Shirocco gelding Minella Rocco, with the unbeaten point to pointer winning last weekend at Horse and Jockey for Clonmel based John Nallen. Ridden by JT Carroll the young horse caught many an eye, and obviously that of the McManus team ad well. many notebooks when just failing under Barry O’Neill in a ding dong tussle with the Gigginstown horse Victory Mill. This 4 year old by Black Sam Bellamy now moves on to Johnjo O’Neills yard to continue his career. Bowe also sold Vintage Vinnie ,another Lingstown winner for £75,000 to Gearoid Costelloe to continue his racing career in Britain. The same price of £200,00 saw Co Cork based Eugene O’Sullivan part with Scorpiancer to the bid of Gearoid Costelloe from the Rebecca Curtis yard.This 5 year old Scorpion gelding won at Kildorrery for O’Sullivan and gave his 17 year old son one leg of his first point to point double. With two British based horses getting the next best prices in the shape of bumper placed horse King’s Odyssey to Evan Williams for £170,000 and point to pointer Saint Charles being knocked down for £140,000 some slightly smaller but no less impressive prices were paid for Irish trained horses. These included Charlie Swan with Ballagh getting £125,000 , Denis Murphy securing £60,000 for Gold Man and Aidan Fitzgerald sold Hester Flemen for £55,000. Further success is inevitable for Doyle’s Knockmullen House Stud. Knockmullen House Stud was founded in 1997 by Gordon and Mary Gordon with the acquisition of the Sadler’s Wells stallion Pierre. The 20 year old was bought out of Ballydoyle as an unraced 3 year old. Being a son of Sadler’s Wells he was always likely to attract some attention from breeders particularly as his dam Reprocolour’s family has also bred the likes of Kayf Tara, Cezanne and Opera House. The Doyles have managed to offer breeders a real option over these years with some nice winners including Wyck Hill, Pedrobob, Ballyagran and Standin Obligation which have all secured that oh so valuable black type. Some might not remember that Pedrobob won the County Hurdle at the Cheltenham Festival over 2 miles, while Wyck Hill won the 4 mile Eider Chase at Newcastle in February last stamping Pierre as a very versatile sire. Not being derogatory of the mares that Pierre has covered over the years ( some being my own) but they were not always of the highest quality, so his winners have been all the more impressive for this. One really noteworthy attribute has been his ability to get stock that improve with age as 6 , 7 and 8 year olds. Following on the death of Gordon Doyle senior the role of Stud Manager was taken on by Mary’s son Gordon junior about 7 years ago. Since then the Stud has expanded to meet the ever changing demands of the national hunt breeder by acquiring a second stallion in the shape of Primary. This Group 3 winning son of Giants Causeway was retired as a 5 year old having been also placed in the Group 1 Secretariat Stakes in the USA. At stud now since 2008 Primary the now 11 year old has had a winner or two on the flat but given his book of mares he will make his mark over jumps once they come of age. With a sire line including “The Iron Horse” Giants Causeway , Doyle is hopeful that progeny of Primary will be as strong or resilient as that horse was. Knockmullen House Stud is also home to racing yard with Gordon training his first ever track winner in 2013, with Foritsa winning at Wexford in November. The yard has seen the installation of an all weather gallop which has made a big difference to the training regime in operation. 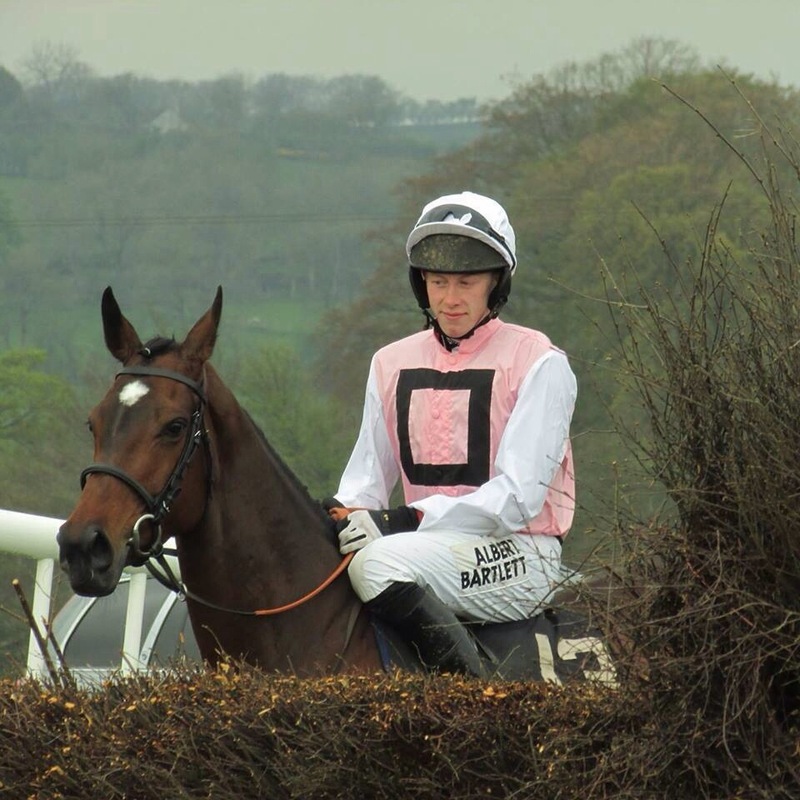 Of course training isn’t their only involvement in racing as Andrew Doyle, Gordons brother is an amateur jockey at Paul Nicholls yard in Britain where he is riding both on the track and in point to points. With a strong family link to Garryrichard and Sunnyhill Stud’s (Denis and Michael are brothers of Mary Doyle) Knockmullen House Stud is immersed in breeding and with in excess of 11 of their own breeding mares they have plenty more stock of both Pierre and Primary to race. Given their record so far further success is inevitable. Ballylinch hopes to follow on in the hoofprints of Sassafras and Kings Theatre. Mount Juliet is now home to one of the most well known Hotels and golf courses in Ireland. The former ancestral home of the well known south Co Kilkenny McCalmont family it was the home of their own Norelands Stud which bred such good horses as Danish, Ace and Power. The estate is now also home to one of the countries top Studs in the shape of Ballylinch Stud with a roster of five stallions offering a variety of flat , national hunt and dual purpose options. Managed by John O’Connor the 1000 acre Stud farm is currently home to Beat Hollow, Dream Ahead, Intense Focus, Lawman and Lope De Vega. Kings Theatre was their flagship stallion until his demise in 2012. Currently at the top of the national hunt stallion listing they have tried to replace him, if that were possible, with another son of Sadler’s Wells in the shape of Beat Hollow. His dam lines boast a number of quality sires including Oasis Dream, Martaline, Reefscape and Court Cave. They all trace back to that John Oxx Senior mare Sorbus, famously disqualified after winning the Irish Oaks and relegated to second place. If mares could laugh Sorbus most definitely would as her broodmare record has seen her surpass her race record by all measures. Beat Hollow is a 17 year old Group 1 winner who has sired Group 1 winners on the flat including Proportional and Beaten Up while Cinders and Ashes a Cheltenham Festival winner is the flag bearer over jumps. I would suspect that he wont have to many flat winners from his Ballylinch Stud coverings so we will await his national hunt covers with real interest. Astaire won the Group 1 Middle Park Stakes and is the best son Intense Focus currently to have hit the track. Intense Focus is an 8 year old son of Giants Causeway with a Group 1 Dewhurst Stakes to his name. Trained by Jim Bolger he comes from a line that Bolger has had considerable success with as a breeder including Sholokov, Soldier of Fortune and Napper Tandy. With 18 individual 2 year old winners they have shown themselves to be tough with a touch of class. Bolger and the equine science industry have been pushing a particular line predicting race course success with this horses progeny. I really dont know enough about that side of the covering sheds, so from my non scientific eye, Intense Focus, offers a nice stallion line with plenty of success to date. Ballylinch also offer the French bred Group 1 Prix De Jockey Club winner Lawman, with the 10 year old Invincible Spirit horse already the sire of Irish 1000 Guineas winner Just The Judge and Most Improved a St James Palace winner at Royal Ascot. This dark bay is a really nice stamp of a horse with a race record to match many on the stallion roster in Ireland or England. For the speedier aficionados amongst us Dream Ahead is offered at the Stud with yearlings on the ground for 2014. This 6 year old son of Diktat, a five time Group 1 winner at 2 and 3 has a real speed gene in him with his dam being a Flying Childers winner herself with a dam sire influence of Cadeaux Genereux, Green Desert and Star Appeal tracing back to Vaigly Star and Vaigly Great. While Diktat may not yet be a sire of sires he has a very good record as a stallion and the chances are Dream Ahead could well be his best son at stud. The final offering at the stud is the French 2000 guineas winner and Prix De Jockey Club winner Lope De Vega. They will be holding their breath in Ballylinch as he will have his first runners in 2014. A 7 year old son of Shamardal Lope De Vega is his best racehorse to date. A winning two year old it will be very interesting to see if he can sire stock to win as early two year olds himself. All in all it is a really interesting roster and looks likely to build upon its past record to follow on in the footprints of The Tetrarch , Sassafras and Kings Theatre. Books are limited here so get in early if you have a suitable mare. Tattersalls Ireland get the Irish sales year underway. Tattersalls Ireland get their sales underway with their February NH Sale at their Co Meath venue tomorrow. With 254 lots in a slimmed down sale it is mostly made up of 177 yearlings with a few older horses , two year olds and mares making up the balance. With anyone really interested in buying having already scanned the catalogue for favourite lots I ran my eye over the pedigrees and highlighted a few interesting entries. Bizarrely enough the possible sales topper, Supreme Breda is only a supplementary entry. Now entered as lot 227A this 13 year old mare, a daughter of Supreme Leader is already dam of one winner, the three time Grade 1 winner Benefficient. This son of 8 year old Beneficial is already a winner at Cheltenham making his dam, who is in back in foal to Beneficial an expensive commodity. If you are really interested in this pedigree a Beneficial full sister out of Supreme Breda comes under the hammer earlier in the day when the yearling filly is offered as lot 59. This filly would make a nice broodmare herself at some stage into the future and bidding could be lively. Staying with mares and their potential there are a number of winning mares with breeding certs on offer. Bouillabaisse an 8 year old by Beat Hollow is already a track winner and her pedigree looks strong enough to warrant attention. The same can be said of Pepelina, a 6 year old winning Vinnie Roe mare with both of them offering winning form matched with nice current up to date pedigrees. With breeding certs they can be brought to a stallion of your own choice this year and then look forward to 2015. My eye also caught sight of the 11 year old Valleyboggan , with the Saddler’s Hall mare being a half sister to Grade 2 winner Felix Younger. This mare has 2 older progeny and is sold with a Kalanisi covering. The yearlings on offer are the bulk of the sale with some nice pedigrees on offer. Presenting has been the star of the Rathbarry Stud for quite a few years now and his colt out of Pomme Tiepy is on paper a class apart. With a winning Black Type dam he will be on most peoples “must see ” lists. The Court Cave yearling out of Miss Top makes him a half brother to Grade 3 chase winner Little Josh. With the same stallion based in Boardmills Stud being responsible for the colt out of Megans Joy. This Supreme Leader 12 year old mare was a Grade 2 winner over hurdles and this colt is her first foal by a sought after stallion. 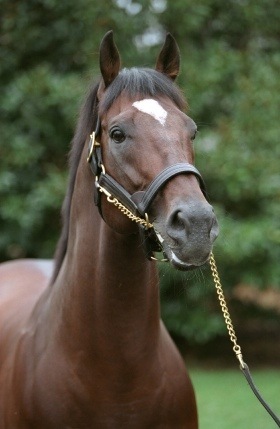 Stowaway has been a very popular stallion at Whytemount Stud with many breeders keen to utilise his services. His half brother to Grade 1 winner Bog Warrior is an interesting lot with the Tony Martin horse back on the track. A pedigree I particularly like is the yearling Stowaway colt out of Fairy Dawn who is herself a full sister to Kicking King. A winner on the track this mares progeny offers potential for the future. The Arcadio colt out of the Tiger Hill mare Glory Days looks interesting from this remove with the young stallion based in Arctic Tack having had both track winners and point to point winners to show real promise. The Milan colt out of the Black Type hurdler Dingle Belle will be viewed many times over the day with a variety of purchasers most likely having him pencilled in. Of the 2 year olds the Milan full brother to Grade 2 chase winner The Paparrazi Kid stands out with his pedigree tracing back to Mucklemeg and Deep Gale. 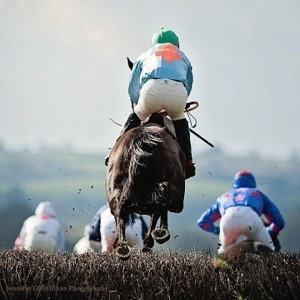 Its a good start to the sales year here in Ireland and everyone will be hoping to have picked up a winner! Curtain Time sires Grade 2 Thurles winner Texas Jack. Thurles staged a really good card with the running of a couple of nice graded races including the Grade 2 Kinloch Brae Chase. With the return of Philip Fenton’s Last Instalment taking most of the pre race headlines , it was the Co Waterford bred Texas Jack who landed the spoils for Noel Meade and Paul Carberry. This 8 year old is a son of Curtain Time who stands at Woodfield Farm Stud in Kilmacthomas Co Waterford. This stud owned by Bramblehill Stud and managed by Gary Norris has been home to the 16 year old son of Sadler’s Wells since 2004 with Texas Jack coming from his second season crop. Texas Jack is very much the flagbearer for his sire Curtain Time, having won the Grade 2 Boylesports.com Novice Steeplechase, the Goffs Landrover Bumper and now this Grade 2 Kinloch Brae Chase. Curtain Time who won on the track is out of the Chief Singer mare, Alidiva and comes from the family of Taipan, Ali Royal and Sleepytime. So he lacks for nothing in this department. Every good stallion needs a winner or two to keep his name to the forefront and in Texas Jack he has found just that. Bred by Lemybrien based Fergal O’Donnell he is out of a Roselier mare called Sailors Run. Any stock related to this winner, Texas Jack, have increased in value following these successes but more importantly Curtain Time is alive and well and “In his prime” according to the studs manager Gary Norris. Norris freely admits that the past five years have been particularly difficult in the business with a high percentage of unregistered colt foals. Maybe this win will urge one or two to finally register? Some nice horses have been bred by the Norris family over the years with a couple of horses that they have been involved with in their own minds including the Graded Red Square Chase winner Ossmoses and that genuine performer small Black Type Triptodicks who managed to win 11 of her 79 races. Woodfield Farm Stud also offer breeders the Royal Ascot Group 2 winning Theatrical horse Balakheri and the German bred Lecroix a Group 2 winning racehorse and Black Type sire. This is a nice team to offer breeders, particularly in the South East. But knowing horse breeders they will travel with a nice mare for a good cover. Curtain Time gets racehorses, What more could we ask for?